Extang Trifecta Signature 2.0 Folding Tonneau Cover: Improve gas mileage by up to 10%, protect your cargo, and look good doing it! 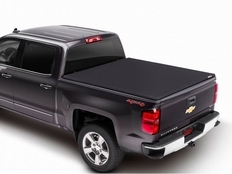 The Extang Trifecta Signature 2.0 Tonneau Cover is the perfect solution for your truck. 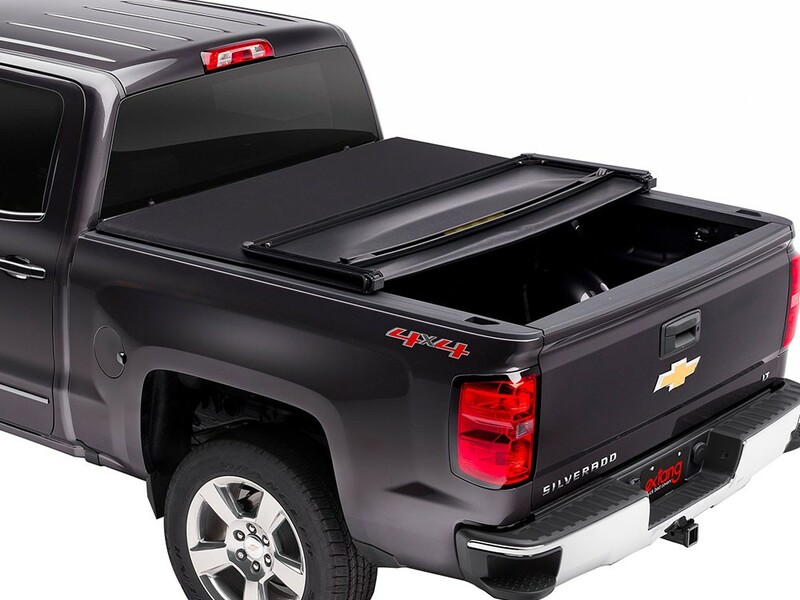 This Extang engineered tri-fold style tonneau cover installs in minutes and requires no tools or automotive knowledge to install! Where engineering ends, good looks begin. This Trifecta Signature 2.0 tonneau system features a rich looking all-black aluminum frame. It features an upgraded premium, vinyl-backed black canvas with anti-curl corners that is thicker and more durable than the standard Trifecta cover. 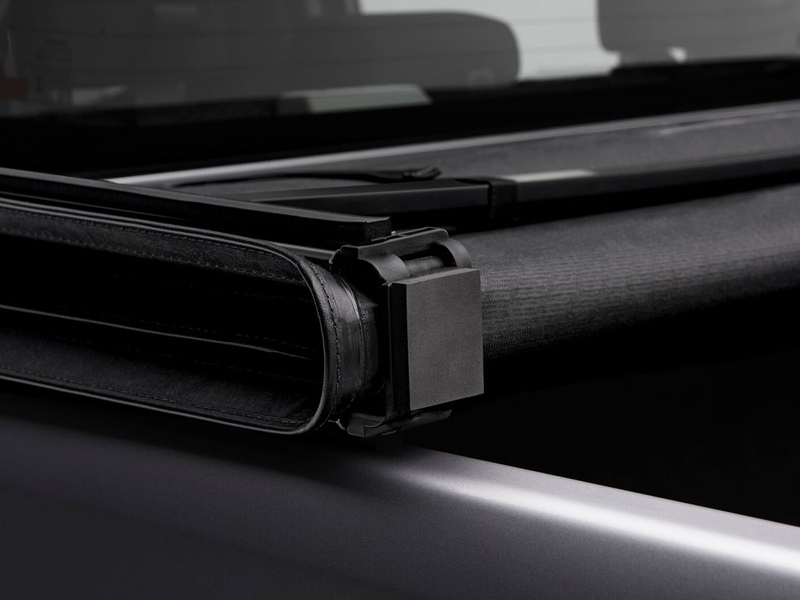 Even better, the Extang Trifecta Signature 2.0 Folding Tonneau Cover features WeatherTuff Seals and unique hinge design to keep water out. In other words, this tonneau looks good and is built to last. The Extang Trifecta Signature 2.0 can easily be folded out of the way, to allow ease of loading or quick convenient access to cargo. 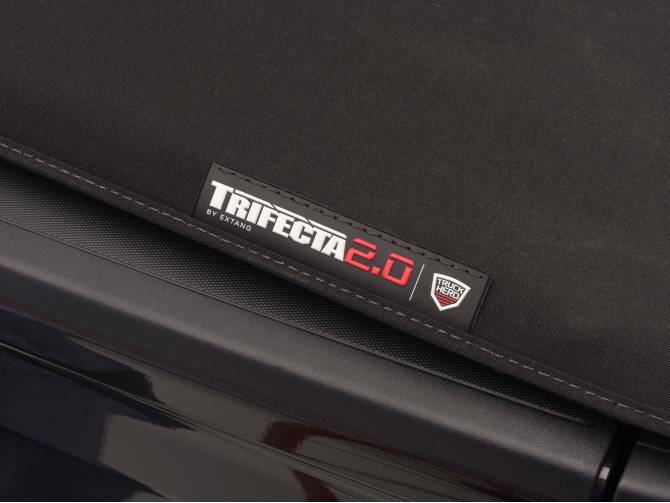 You also can drop the tailgate with the Trifecta Signature 2.0 completely closed. The Extang Trifecta Signature 2.0 Tonneau Cover is designed specifically to fit your trucks make and model for a superior fit! Trucks with spray on and under rail bed liners have nothing to worry about either! The Trifecta Signature 2.0 still fits perfectly! If you have an over the rail bed liner, you'll need to cut notches into it in order for the Extang Trifecta Signature 2.0 to fit properly. If you have aluminum or stainless steel bed caps, you'll need to remove them in order to achieve a flat surface for closing your Trifecta Signature 2.0 Bed Cover. It gets even better! Extang offers a 10 year warranty on the cover itself and a lifetime guarantee on the Aluminum frame! The part number for this item is: 94950 and it fits 2007-2013 Toyota Tundra 6 1/2 FOOT BED w/out Rail System models. View the video below for a demonstration of the Trifecta. Written installation instructions are available under the video below. The Extang Trifecta Tonneau Cover installs in minutes with no tools or automotive experience required! 1. The Extang Trifecta tonneau top comes fully assembled. Note any damaged or missing components before installing. 2. Wash truck bed before installing your Extang Trifecta Tonneau Cover. 3. Place the already assembled Extang Trifecta Tonneau Cover over cab end of the truck bed and then unfold the cover fully and adjust position over the truck bed for proper cab/tail alignment. If the cover does not fit, do not proceed. 6. With tailgate open and front clamps secure, completely open the Extang Trifecta cover. Your installation is now complete. Enjoy your new Extang Trifecta Tonneau Cover and thank you for shopping at New Level Motor Sports! � Requires NO TOOLS TO INSTALL! � Extang engineered with precision. 45� steel corner brackets, commercial grade rails and I-Beam style Monster Bows provide unparalleled strength. � SafetyKlamps: Extremely strong glass-filled nylon construction, will never break. Secure cab section by hand tightening thread clamps with built-in heavy-duty handle. � MaxHinges: Ultra-strong, rugged, double pivot design made of durable glass-filled nylon and feature protective padding. � Heavy-duty luggage style Hold-Tite fasteners secure the tonneau in the open position at the cab. Provide quick and easy storage when hauling large cargo.